Visit Dominica’s boiling lake, one of only 2 in the entire world! 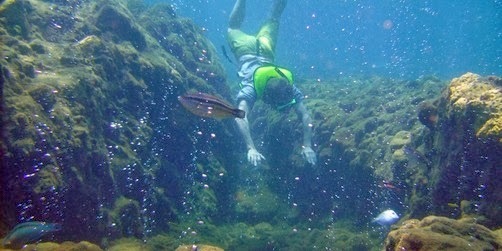 Trek the only cross-island trail in the Caribbean, the Waitukubuli, and swim in Champagne Springs, created by bubbling underwater live volcanoes. Then sleep in a swinging bed in a treehouse, perched at the highpoint of the island with sweeping views.